Recently, during dinner with my Mom at Gold Strike Casino's Courtyard Buffet, I checked in on foursquare where I was. Shortly after doing that, my friend Clay responded. He was concerned that I might do something foolish like piss away the little money I have and asked if I was making a wise decision. I promptly replied that I wasn't gambling but rather being treated by my Mom to dinner. At this point, you might be wondering what this have to do with food? You see, Clay showed concern for me as a friend and I really appreciate that. He's one of the few people outside of my family who helps me stay on the "straight and narrow." He even thought that this blog was a bad idea for me when I was collecting unemployment insurance. Although I respected his opinion and saw the logic in it, I don't have regrets about what I have done with the blog. And while Clay and others may have been critical about the blog during its early days, they counseled me in private, unlike someone who I thought was a friend. Recently, I came across a blog post written by "Air Traffic Mike" that was posted last June. While I won't go into detail, the article slams my blog harshly for grammatical errors and content. While his arguments were valid and have since been addressed, I didn't appreciate him lambasting the blog in a public forum. Before I go on, I'm not saying that the blog is above criticism, and I might have been cool with it if he was some random guy that I didn't know. But as a "friend" I felt Mike could have used more discretion, like I would if the shoe was on the other foot. Kudos to you, Mike. Thanks for being a "friend" who really knows how to have a guy's back, especially when wielding a knife. You know, I might have discovered this earlier if your blog didn't ramble on with such insipid things like "Splitty the Ax" and other babble. I know you think you're witty and funny, but I need a bottle of Five Hour Energy in order to read most of your stuff. Fortunately, I was able to find your post about my blog through a Google search on something else. I won't comment further, other than to say that I'm glad you showed your true colors. SIDE NOTE: I recently discovered that Air Traffic Coward took down the blog post. He also disabled some search features that prevents certain words describing me and "Ken's Food Find" from being found on his blog. However, the content is still there, accessible through this link. Please read his posts and respond accordingly. As I said, I have addressed many issues that afflicted the blog. As it pertains to grammar, I now write reviews as if a professor was grading it (and in doing so, I keep a certain blogging "professor" in mind). I may not be the most articulate blogger, but I believe the blog is much better grammatically than it was when I started. I have no one to blame for its initial poor quality other than myself. In hindsight, I should have taken it more seriously. However, I didn't think that anyone would take the time to scrutinize my blog. I may never be Edward R. Murrow when it comes to journalistic quality, but I will do my best to bring concise analysis to anything I review. Sometimes, I might have to make up a word like "de-finned" to get my point across, to the chagrin of guys like Mike. I don't see that as a lack of articulation, but rather an act of creative expression. Of course this just my opinion, and Mike is right about keeping that to a minimum. For some, it doesn't matter how I write for they will always hate the blog. However, I hope my grammatical improvements appeal to more objective readers. Regarding other content on the blog, I have made improvements as well. Particularly as relates to pictures, the standards that I implement are almost on par with those that I use as a graphic production specialist. Despite not having the precious iPhone or any other smartphone equipped with a flash and high megapixel capacity, I have made the most of what I have. Because of my expertise in Photoshop (or now because of my laptop "crashing," Photo-Paint), I am able to produce pictures that are at least acceptable, if not high quality. Compared to what readers have seen in the past, I believe most will be pleased by what they see on this blog. UPDATE (January 11, 2014): I now use a 14 megapixel camera to capture pictures for the blog. It's far from top-of-the-line (it's a Kodak EasyShare C1530), but it's much better than the crappy smartphone that I was using. Speaking of "seeing," I have also improved the overall layout of the blog. The blog's pictures are bigger and text is arranged so that it is easier to read. Again, this is something that I should have done earlier, especially given my experience in typesetting. I actually didn't notice this until one day, while reading a review of The Green Beetle by the brilliant blog Best Memphis Burger, I asked myself "why doesn't my blog look like this?" I followed suit and made the necessary changes. So with regards to layout, I have to give thanks to my friend Seth rather than "Air Traffic Mike." In addition, I have made other changes to the blog that makes it more navigable and informative. For example, I've added the LinkedWithin widget so visitors can find reviews related to a blog post they're reading. Also, I've included the "Ken's Food Find" Twitter feed to keep readers better informed about dishes, recipes and other food-related matters that don't require a blog post. Related to that, I also implemented a Photobucket account into the blog to show many of the pictures that I take, including some that I will blog about. (UPDATE: I recently added a photo gallery to the blog, negating the need for a seperate photo-sharing service. Therefore, everything is under one roof. To find it, look in the right column of this blog). The blog is also more "mobile friendly," something that certain uppity, know-it-all iPhone users can appreciate. I believe that these and other measures have made the blog better. As any objective person can see, Ken's Food Find is a much better blog than it was when I started it nearly two years ago. For some, like a certain Downtown Memphis blogger who wants me to go away, nothing I do will satisfy them. But for everyone else who reads this blog, I hope the changes I made meet their approval. If you have any suggestions about how the blog can be improved, please send them to karogers@hotmail.com. Well, I hope this is the last time I submit a non-food post because I want to focus more on food, as opposed to other issues. Take care. UPDATE: In Part 4 of my pointless series "The Battle Of The Downtown Memphis Sliders," I ended it with a response to what Air Traffic Douchebag can do with his spare time. To read it, click here. Now maybe you can concentrate on being something than an annoying 40 something part time ticket taker living at home. I'm sure the degree in General Studies will help. You also might try reviewing food other than stuff served in styrofoam containers hastily throw at you by employees trying to clean up the restaurant at closing time. 1. Given that this blog post was about grammar, I wanted to point out that most people put a hyphen between "part" and "time." It might be grammatially correct but it goes against the norm. Also, even though it is grammatically correct, "being something than..." sounds awkward. I believe you left out the word "other." 2. I sell tickets, not take them. 3. 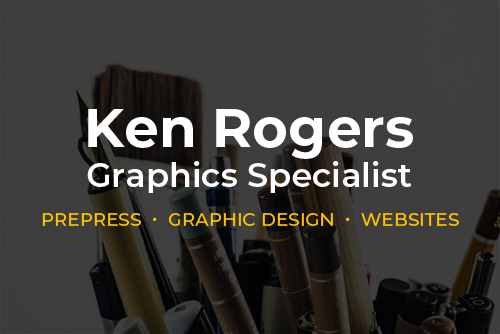 I have an associate degree in Graphic Arts Technology and a bachelor in Marketing Management. Nothing "general" about that. 4. I'm not sure where you're going with the last sentence (which was really long). I am sure that 99% of the restaurants that I reviewed were based on visits during prime dining hours. Also, although I'm not sure on the percentage, I believe that I dined in most of the time as opposed to getting take-out. It seems the only thing that you got right was that I'm a "40 something" guy living at home. If you're going to insult me, get your facts straight. I enjoy the informal, conversational tone of your blog. The style works well with your frequent focus on restaurants that are largely ignored by both the professional food press and other bloggers. I also enjoy seeing what paid "expert" journalists have to say about high-end local places like Iris or Andrew-Michael, but that isn't what I come here for. I come here to read someone else's viewpoint on places like Salaama. I drive past that restaurant a couple times a week and have wondered if I should try it. Based on your recent review I will. The way blogs evolve over time is part of what makes them interesting. Keep letting yours evolve on your terms. The people who enjoy it will keep reading. If someone doesn't like it, it didn't cost them anything and they can navigate away at the click of a button whenever they want to.